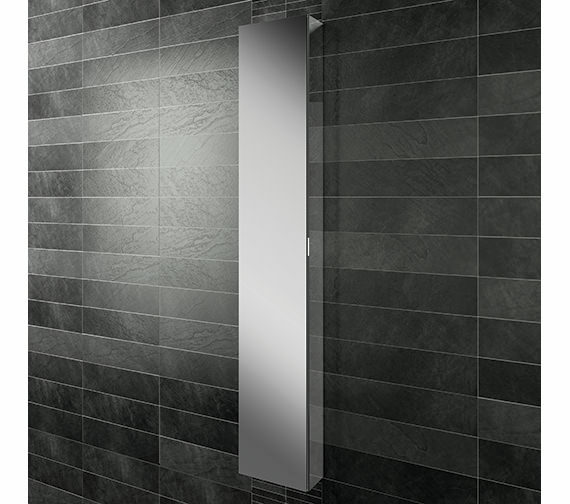 The Single Door Mirrored Tall Cabinet from HIB Eris 30 has an impressive presence and will add infinite value to your bathroom. 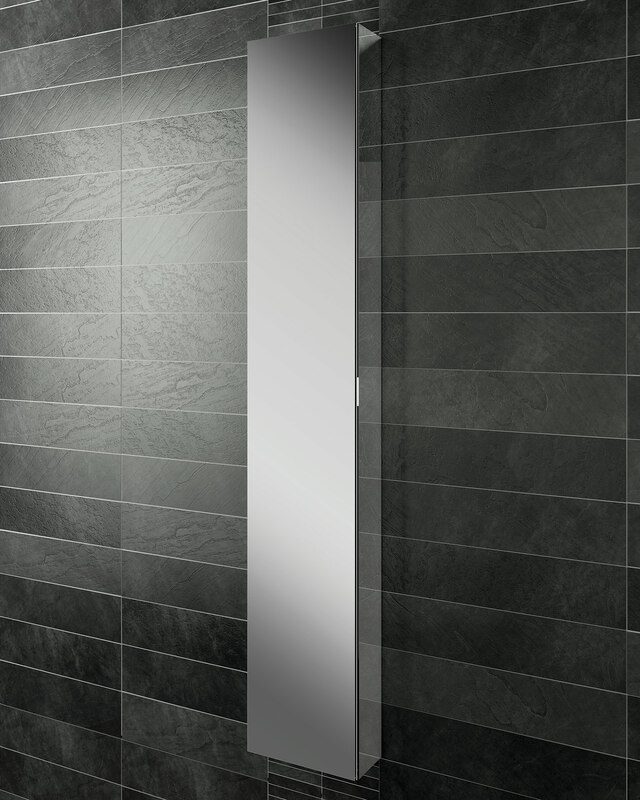 It features a single, double-sided mirrored door with soft close hinges that ensure a gentle closure and is a pleasure to use. Adjustable glass shelves allow you the liberty of arranging them to suit your requirement. Built to last using the finest material and the latest manufacturing techniques, it is offered at our online store at an exceptional price. As seems to be typical of HIB stuff, this is a very well made product, really solid strong construction and a beauty to look at. Simple to fix after you realise it is actually hung on the two brackets that you are not 100% sure you have clipped into properly! HIB are obviously a quality brand worth paying that bit more for. I bought the 800 LED recessed mirror cabinet as well. Well made cabinet, only problem is I now see it in a local showroom at £100 less than I paid!! 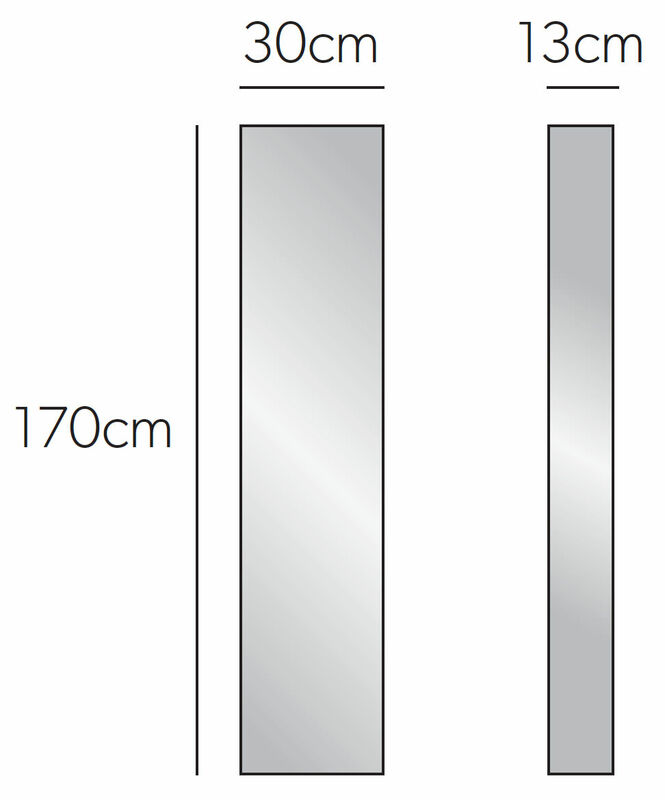 Can the cabinet door be either left or right hand opening?